Martin Roll was appointed a Distinguished Fellow at The Wendel International Centre for Family Enterprise at INSEAD Business School in July 2018. 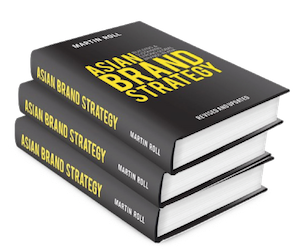 In this capacity, Martin Roll contributes to research, drives thought-leadership and provides insights to a variety of strategy and leadership programs related to the most pressing issues facing family enterprises in a fast-paced, technology-driven and increasingly digitalized world. What made you take on the appointment as Distinguished Fellow to the Wendel International Centre for Family Enterprise? INSEAD has always had a special place in my heart. It was a game changer for me to complete my INSEAD MBA in 1999 as it opened up my eyes to the global world and inspired me to take on a lifelong journey in Asia – amongst many other outcomes. INSEAD did that to me as it does to so many other people. I took up this appointment because of three distinct reasons. First of all, I wanted to give back to INSEAD. This appointment gives me the unique opportunity to contribute to INSEAD and in particular to The Wendel International Centre for Family Enterprise. Family business is one of my core areas of expertise, and I have consulted for and mentored business families for many years as a practitioner. Secondly, INSEAD is one of the best business schools in the world with a unique position and reputation. The team at The Wendel International Centre for Family Enterprise is world-class and they are a group of academic and management professionals from whom I can learn a lot. We have an amazing working relationship and it is simply pure joy for me to be part of this. Very inspiring! Thirdly, the world of family business drives more impact in the world than most people know. A large proportion of the world’s companies are family owned in one way or the other, and they are constantly evolving. I have always wanted to contribute to and help business families to become even more successful; INSEAD is a great platform for my contributions as it brings global scale, broad reach and deep engagement with business families. This is my way of making a difference. What does a Distinguished Fellow do? A Distinguished Fellow has many hats and the role can evolve over time. I am contributing in several ways; from bringing in my global experience and expertise with business families, developing and updating the Centre strategy and road map, contributing to research and cases, inspiring with new ideas and fresh perspectives, and being a sparring partner and member of the global INSEAD team on a daily basis. I contribute both on location at INSEAD and by being in daily contact with the Centre on a variety of issues and challenges we need to tackle. I have a very close working relationships with both the Academic Director Morten Bennedsen and the Executive Director Lise Moller. Two leaders whom I deeply admire and whom I really enjoy working with – as well as the rest of the amazing global team. How do you see the Center’s role evolve? The Center plays an important role with global family businesses and business families themselves. They are always trying to get better and become even more successful – in a world with constant challenges and a very fast pace. INSEAD brings sophisticated global perspectives, deep thinking by leading minds, and dares to challenge the family businesses and the family members to reach further and deeper. One of the key success factors of the Centre is that it provides a safe environment for family members and executives to bring in their challenges, discuss their ideas with peers, and get unbiased perspectives on numerous family and managerial issues. The insights INSEAD brings across all of this is deep and impactful. The Centre is always in transition mode and has become its own change maker aspiring to stay on top of the game. It comes with the tradition and culture of INSEAD to always reach beyond limits and create a better world. I believe the Centre will continue to evolve and bring to family business clients the needed thinking, tools and perspectives on their respective journeys. All family business journeys are unique, and INSEAD aspires to become a lifelong partner on those journeys. For example, in the coming decade, we will face an unprecedented number of leadership and owner successions among global family businesses. This creates opportunities but also comes with many challenges as succession is undertaken. The Centre is at the forefront here as we act as trusted partners for business families during those critical and highly sensitive events. It takes specific skills and experiences to gain the needed trust from business families, and it is somehow a mastery to get it right. I am honored to be part of the Centre because I see from first hand experience how the Centre cares – and dares – to be a trusted partner in the global business family community. It is in itself priceless. INSEAD sees business as a force for good. How about family business? Business as a force for good is at the core of INSEAD and it has always been that way. Since the world’s first venture capitalist George Doriot founded INSEAD in 1959, business as a force for good has taken center-stage at INSEAD. Business is a naturally force for good for business families and I find them in particular at the forefront due to several strong reasons. In family business, the family can decide what to do and they can decide faster than typical large public and/or more institutionalized corporations. Families have unique power to decide and have the power to make changes as they wish. Furthermore, they have the power to decide to be good and respectful employers, and to treat their suppliers and clients with the same respect. Ultimately, they have the power to decide to be ethically correct organisations and to apply CSR across the lines in their businesses – to name a few very impactful traits of family firms. In addition to this, the roots and legacy of the founder/ owners and the way the business came about in the first place also influences why families is a natural force for good for family business. They often enjoy strong community links, and family businesses care about their stakeholders and take a long-term horizon. I have lived and worked in Asia since 2000, and I have always been impressed with the community involvement and the incredible amount of philanthropy originating from Asian family firms. The most remarkable observation is that they often don’t talk about or boast about it in public. They just do it quietly in their own respectful ways. Very inspiring and a huge contribution to the world we live in. This is also one of the key reasons I have become a Distinguished Fellow with The Wendel International Centre for Family Enterprise. There is so much be done to create a better world and drive impact on even more global people. The Centre plays its own significant part of that exiting journey with the family businesses so I am very excited about the years ahead being part of INSEAD in this capacity. The Wendel International Centre for Family Enterprise at INSEAD Business School helps improve the long-term performance and sustainability of family enterprises across industries all over the world. It conducts research, provides education and acts as an international platform for knowledge exchange, in order to support families in business in their endeavor to combine sustainable business growth and healthy family relationships. With more than 20 years of expertise in the unique dynamics of family enterprises, the Wendel International Centre for Family Enterprise is a leading international resource for family business. The Wendel Centre for Family Enterprise has adopted a wider advocacy role by raising awareness and understanding of the importance of family enterprise as a business model: Family firms represent the most prevalent type of companies worldwide. Family firms are capable of outperforming other firms and they are proven to be among the most successful in the long-term. In 1997, Wendel founded the Large Family Firm Chair and INSEAD offered the first Family Business MBA elective. Since then INSEAD has continuously generated research, thought-leadership and leadership programs for and about family businesses. As one of the world’s leading and largest graduate business schools, INSEAD offers participants a truly global educational experience. With campuses in Europe (France), Asia (Singapore) and Middle East (Abu Dhabi), and alliances with top institutions, INSEAD’s business education and research spans around the globe. The 154 renowned faculty members from 40 countries inspire more than 1,400 students in both degree and PhD programs. In addition, more than 11,000 executives participate in INSEAD’s executive education programs each year. INSEAD’s innovative leadership programs are internationally recognized. Of particular note, the Financial Times has ranked INSEAD as the #1 MBA program in the world for two years in a row (2016 & 2017).